When Sam France and Jonathan Rado released "...And Star Power" in 2015, the title seemed an extension of 2013's "We Are the 21st Century Ambassadors of Peace and Magic". Nobody minds such self-confidence when it's well-founded, but offering as proof of their epochal 'star power' an 82-minute smorgasbord of unpalatable, half-baked indelicacies, rather than a gleaming ambassadorial pyramid of Ferrero Rocher, was hardly diplomatic. 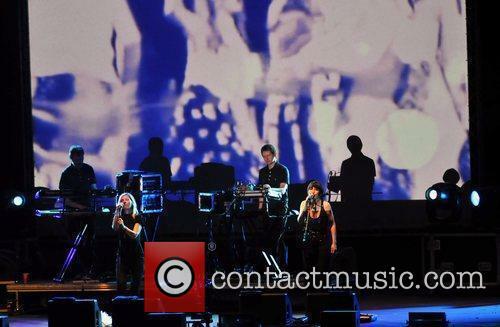 The final track on "...And Star Power" was called "Hang", requesting, 'If I'm no good for you, would you let me know?' Let's say that critical responses did not include the phrase, 'Foxygents, with this new album, you are really spoiling us'. So choosing "Hang" as the title of studio album number four seems a test of critics and fans alike. Will we let them 'hang' with us again? 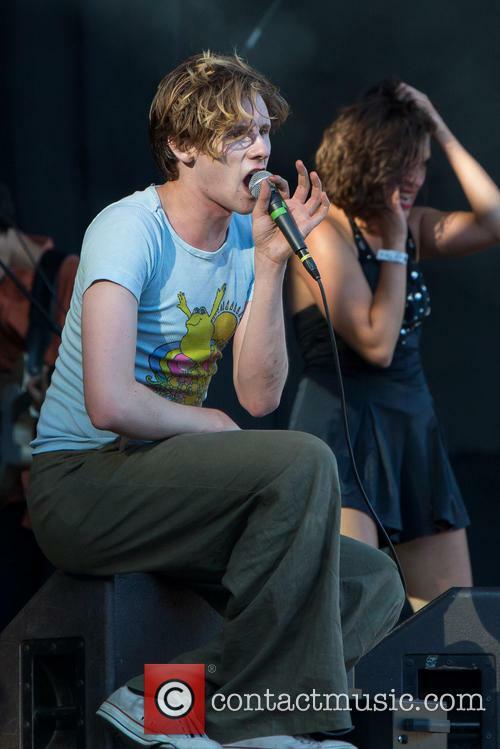 In the most non-serious way achievable, Foxygen just got serious. 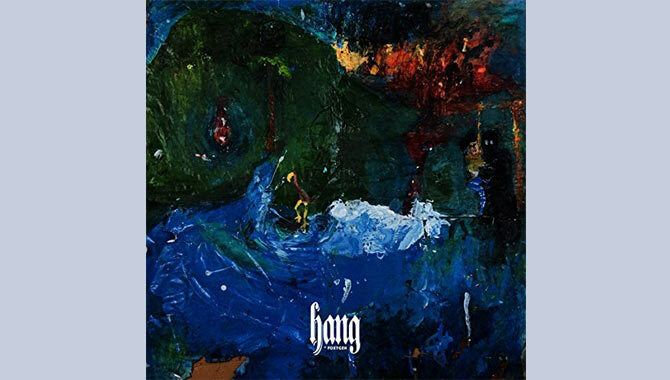 "Hang" is ambitious, thoughtful, concise (thirty minutes) and largely coherent, while still managing to be potty in places. Sam France categorised the transition from conception to realisation as 'serendipitous', rather than the usual 'chaotic' or 'unhinged'. Thematically, it hangs together. Released on Inauguration Day, it offers LA life as a filter for the parlous state of the US. A forty-piece orchestra gives the tracks a lush fullness, as well as inevitable structure and added discipline. It's "Foxygen - The Musical", probably not heading to Broadway, but stranger things have happened recently. The 15th Anniversary Line-Up For Primavera Sound Is Finally Here! Ride and The Strokes will be joined by The Black Keys, Patti Smith, The Replacements and more. Fans and hopeful attendees of Barcelona's Primavera Sound were delighted to discover that the preview app they downloaded was a video game displaying the full line-up for the festival's fifteenth anniversary. Already announced were Friday and Saturday's headliners Ride and The Strokes, and now they've been joined by a host of other equally incredible artists. Thursday sees The Black Keys leading the bill alongside The Replacements, who are hitting Spanish stages for the first time and Antony and the Johnsons, who've been doing plenty since their last Barcelona gig. Bringing some variation to Thursday proceedings are electronic virtuosos James Blake, Richie Hawtin and Simian Mobile Disco. Continue reading: The 15th Anniversary Line-Up For Primavera Sound Is Finally Here! 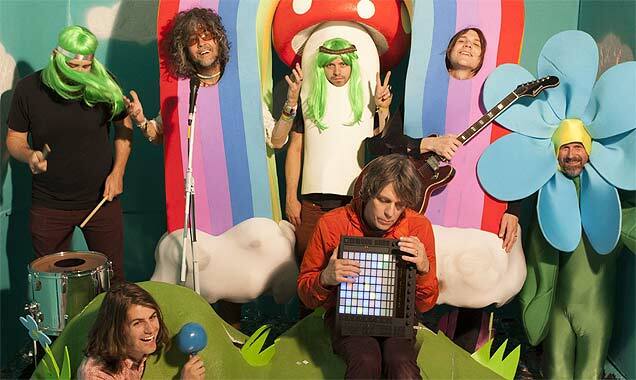 Rock oddballs The Flaming Lips have released more details about their upcoming charity album. It's a track-by-track tribute album to The Beatles' 1967 classic Sgt. Pepper's Lonely Hearts Club Band, regarded by many to be the most influential pop record ever released. Entitled With A Little Help From My Fwends, the Lips bring their unique style to proceedings with assistance from a host of collaborators including members of MGMT, Moby, My Morning Jacket, Foxygen, Tegan & Sara, Phantogram, J Mascis (of Dinosaur Jr.) and Miley Cyrus. FYF Fest 2013 Announces More Live Acts For August! FYF Fest 2013 presents yet more new acts for its 10th annual weekend this August including comedians Doug Benson, Brett Gelman and Karen Kilgariff. FYF is an alternative music festival spread over two days - this year, August 25th and 26th - at the LA State Historic Park. This summer we'll see no doubt spectacular headline sets from New Yorkers the Yeah Yeah Yeahs and Dublin rockers My Bloody Valentine, as well as performances from MGMT, Devendra Banhart, Les Savy Fav, Holy Ghost!, Deerhunter, New Jersey's Yo La Tengo, chillwave producer Toro Y Moi, the chart hitting Kurt Vile & the Violators and Californian duo Foxygen. Just announced are some equally brilliant comedy acts (as if you weren't going to have a massive laugh anyway) from the likes of 'Home Movies' writer Brendon Small, 'The League' star Paul Scheer with Rob Huebel, 'Eagleheart' comedian Brett Gelman and former 'Last Comic Standing' contestant Doug Benson. 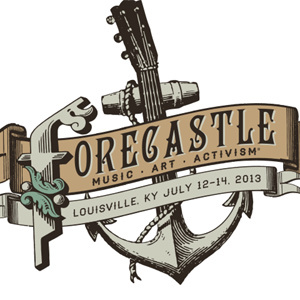 Continue reading: FYF Fest 2013 Announces More Live Acts For August! Here's what to expect from Chicago's Pitchfork Music Festival this weekend (19th - 21st July 2013). Pitchfork Music Festival is due to hit Chicago's Union Park again this weekend featuring some exciting headline sets from Bjork, Belle & Sebastian and R. Kelly. Every summer this globally loved festival presents some 40 plus artists from all parts of the music spectrum, including both classic chart-toppers and new emerging talent, to 50,000 indie fans. They have been praised over their seven year existence for their cheap ticket prices and friendly atmosphere and that's not about to go any time soon. Apart from great live music on show for three days, there's some of the best indie vinyls for sale at the CHIRP Record Fair, some excellent posters and art-pieces about, as well as a craft fair and an array of musical books and magazines. It's not just for Stateside music fans though, the festival hits Europe for Pitchfork Music Festival Paris on October 31st, November 1st and November 2nd. 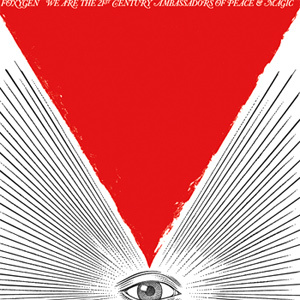 'We Are The 21st Century Ambassadors Of Peace & Magic' is the second album from Californian duo Foxygen following on from 2011's 'Take The Kids Off Broadway'. Sam France and Jonathan Rado formed the band in LA in 2005 and have released numerous EPs over the years but WATTFCAOP&M represents what should become their breakthrough record. Sam and Jonathan are both still in their early twenties but you may be forgiven for thinking they are a little (or a lot) older... Either that or they've been in some cryogenic freezer for some time. Whilst the music they create is totally new, fresh, current and completely their own, it has a certain familiarity to it; a sound you've nearly heard before or a sense of deja vu about it. Foxygen are not so much retro leaning as retro collapsed, plunged, immersed and double dipped. Whether you're just reading this for confirmation of your own thoughts, to get a different perspective or as a prospective buyer, at some point, depending on your format of choice, you're going to come across a phrase similar to this: 'thank you for buying/listening to Foxygen. Other people who have bought/listened to this have also liked/searched for/bought this' etc., so in an expanded nutshell, here is the 'this'. 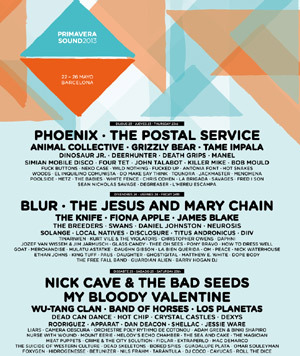 The full Primavera lineup has been released, with The Postal Service, Jesus And Mary Chain and Nick Cave & The Bad Seeds all set to rock Barcelona on 22nd to 26th May 2013.